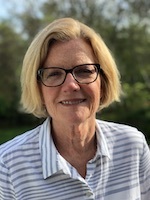 This task, a collaborative effort with Donna Good, provides students the opportunity to read about characters like themselves and analyze the connections to their own lives. It has been revised to incorporate the functions in Destiny & LibGuides CMS. Donna Good and I collaborated on a regular basis while I was an English teacher and the department chairperson at Narragansett High School. The project shared in this guide was developed for the College & Career Communications program at NHS. The course was designed for students who learned better from a project-based approach rather than a more teacher directed, lecture-style approach. The course attracted a wide variety of students from the disenfranchised to the accelerated. While the program was phased out ending as an offering, elements of the approach found their way into other classrooms. "Examining Adolescents Issues though Young Adult Literature" was redesigned while Donna and I took a course on "Understanding by Design" the brain child of Jay McTighe and Grant Wiggins. The project has been revised to reflect the needs of a specific group at least twice. Once Donna and I worked with a group of young women, seniors in high school, who had stories of their own to tell. They read as a class Toni Morrison's The Bluest Eye. This assignment was "tweaked" to reflect this. When possible alternate examples have been provided of such revisions. This guide is meant to model the curriculum development method championed by McTighe and Wiggins organized using the Big6©. The use of essential questions is a reflection of our work with the Coalition on Essential Schools. As collaborators Donna and I found the Bi6© a great way to organize lessons, short projects, and extended projects. Our students came to expect its use. We are happy to share what we have done.